When your home or office is flooded, the damage can be severe and long-lasting. It’s vital to make sure that you get the problems fixed quickly, and that all the water damage – not just the obvious – is repaired. That’s where Disaster Cleanup Services of Aurora can help. We offer quick, thorough flood repairs that make sure your home is safe. Our services are available everywhere in the Aurora, CO area, and can be at your location in 30 minutes or less. Why do you need a professional disaster cleanup company that specializes in Water Damage Restoration? Because cleaning up flood damage involves much more than just getting rid of the water you can see. Water trapped in enclosed spaces (like inside the walls) or absorbed into porous substances (like carpet or wood) won’t evaporate on its own – it will cause mold and mildew that can seriously affect your health, or even rot the wood that makes up your home! Disaster Cleanup Services expert technicians know how to quickly dry out all of a building, even the hidden or hard-to-reach spots, guaranteeing that there won’t be any long-term damage. When your property is flooded, you need it cleaned up now – the longer you wait, the more damage the water can do. You can call Disaster Cleanup Services anytime, 24/7, to get the process started. 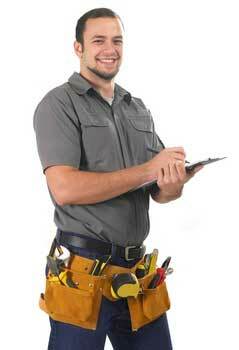 Our technicians will be at your home or office ASAP, ready to begin work. And we promise never to overbill you for our services – instead, we use high-tech equipment and well-trained, experienced technicians to work as efficiently as possible, and pass the savings on to you. Don’t believe us? Give us a call – we provide estimates and consultations over the phone.